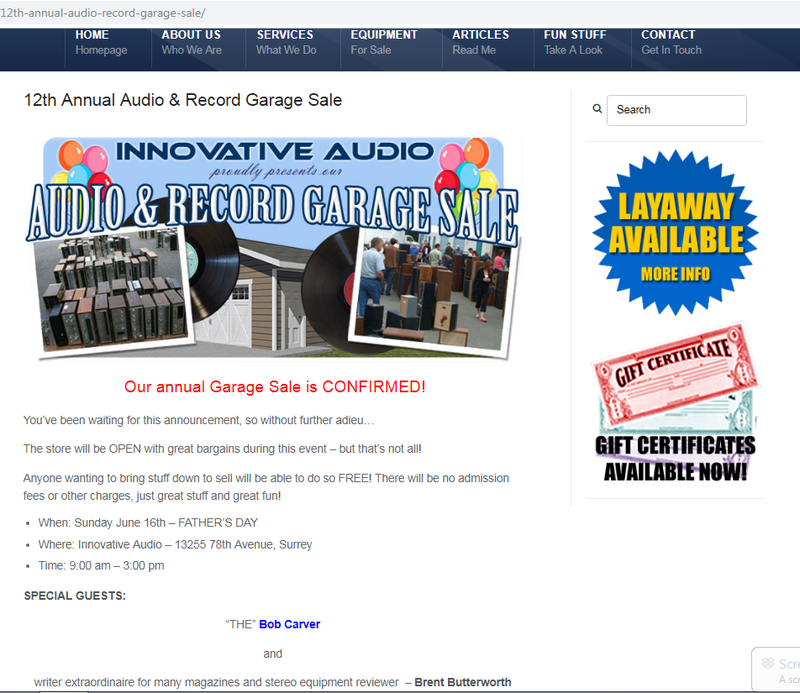 I just checked the IA website to see it they've posted the date for the next garage sale and it's Sunday June 16. Seems Bob Carver is making a return engagement as guest attraction. It beats buying used Tupperware and old video games from somebody's driveway. Indeed - Barb and I hit two estate sales and the Lansing, Kansas city-wide garage sales yesterday, and there was NO audio to speak of besides a few NOS cassette tapes. Still, we got some good scores in books and movies. I expect to be there, so if there are any other members thinking of attending, we can meet at the Garage Sale. Trying to wrangle that day off from work. A 4 day week has it's advantages but Sunday's are one of the days I'm on shift. Sunday is my work day, too, but I have banked time I can use to take the day off. I concocted a story this morning that gets me off work that day. Figured that way ahead of time was a better bet than at the last minute. Glen, you sold a 400 last year no? Wouldn't bringing some PL stuff this year be de rigueur since Bob Carver is attending?